Today, as part of the world's largest gas control company, with over 100 years experience in the design, development and manufacture of specialty, medical, technical and industrial gas control, our products and solutions can be found in most production and analytical processes globally. Since their beginning, our brands have represented authenticity, innovation and a deep connection with the end user. These values have contributed to the long success of our company, its products and the customers we serve. There are a range of exciting and challenging careers available with us, for further information about working for us and the vacancies available, email us at careersuk@esab.com or fill in our contact form. 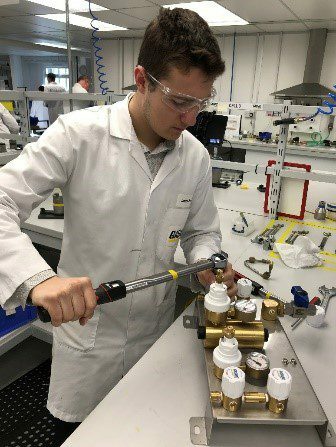 "I joined Gas-Arc back in August 2015 as an Apprentice Engineer. I came straight from high school after finishing my GCSE’S. 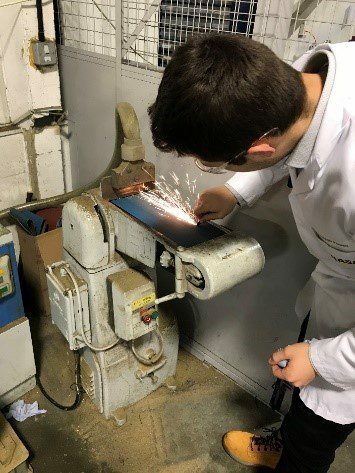 I’m currently on my last year of my apprenticeship at West Suffolk College and at the end of the course I will have gained a level 3 extended diploma in engineering technical support. When I finished my GCSEs, I received an email from my school, which was advertising the apprenticeship. Since a young age, I have always had an interest in engineering and have worked on small engineering projects as a hobby prior to applying for the position. When I first started at Gas-Arc, I spent a week in each department, which gave me a good understanding of how each department impacts the company and gave an appreciation of how important each department is. It also gave me an understanding of the way in which the company operates on our online network database, which is what is used to hold customer and work’s order information. 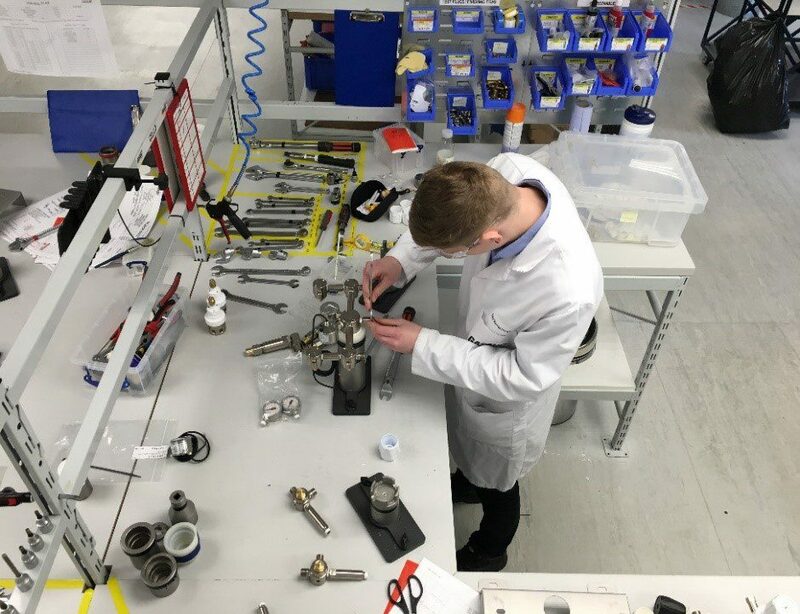 Throughout the apprenticeship, I have worked very closely with the continuous improvement department, where we have looked at engineering operations and have tried to make engineering processes more efficient, which in turn has enabled us to manufacture more specific products, increasing profits and has improved turnaround time. As part of my work based training I have gained new skills with different design programmes which are used on site, as a result of this I have developed my ability to be able to complete engineering drawings, and create/use different features of engineering models. I learnt from design tutorials, as well input from our competent draftsmen in our engineering department. I’ve also been lucky enough to have the opportunity to be able to get off sight at various stages, and visit customers, which has given me the appreciation of the applications of our products and also identify some of the customer requirements in terms of the way in which our products are assembled and designed. 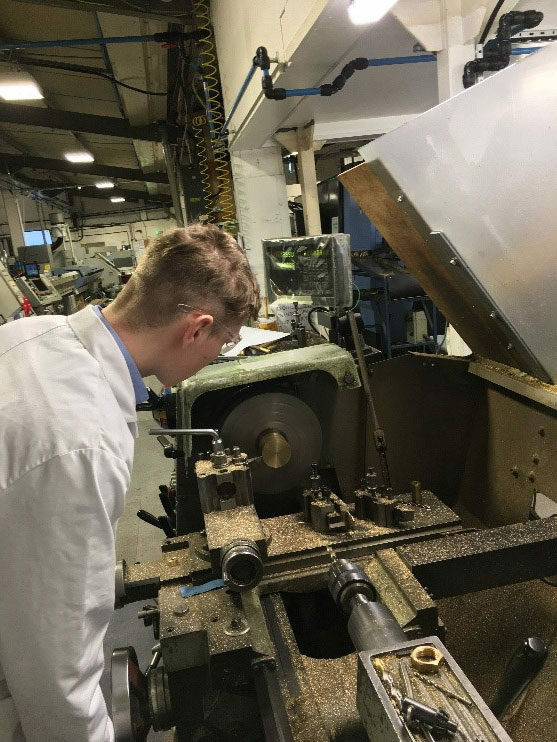 Finally, I have had the sufficient training which was delivered on our college course to be able to use the centre lathe which has been utilized when tooling has been needed for different departments. Again, this has made me more aware of the capabilities of the machine and has given me that level of experience when turning different materials. I have thoroughly enjoyed working at Gas-Arc for the past two and a half years and I feel as though my knowledge and understanding on procedures within an organisation has vastly improved, and as a result has made me more aware on important requirements from a company’s perspective." 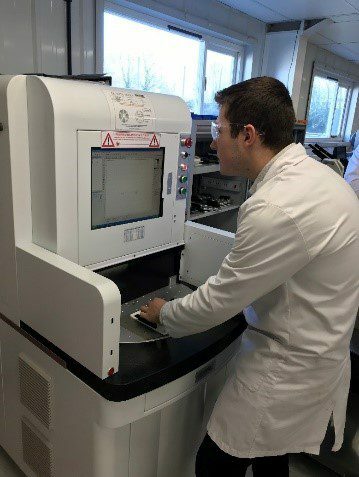 “Towards the end of my final year at Sixth Form it became more apparent to me that I wasn’t ready for university, as a result I began looking around for jobs suited to my interest in engineering. After spending some time searching around, I came across Gas-Arc, they were offering two jobs for design engineer apprentices. Engineering was always something I’d considered, but with no opportunities during my time in education and with little previous experience I was apprehensive as to whether I’d get the job… this is why apprenticeships are ideal; I was able to start with little to no background knowledge, in an unfamiliar industry, all because I had the drive to learn on the job. My apprenticeship is 3 years long in total and by the end of it I will have a Level 3 Extended Diploma in Engineering Technical Support, with the potential for me to take my career and knowledge further by doing an HNC/HND. I’ve found that the apprenticeship role has been key for my development as a person as well as in the engineering and gas industry; I’ve been with Gas-Arc for just over 2 years and as an apprentice I am working both on the job and at a local college (West Suffolk), it provides a nice balance between practical and theoretical work, as well as allows me to apply what I’ve learnt at college to my day to day work at Gas-Arc. During my first year of college I learnt an array of things, one of them being how to safety operate and maintain a lathe, this knowledge has been applied straight into work as we have a large machine shop where we turn and produce many of our own components, ready to be assembled into a final product. I have been able to use my lathe knowledge to turn and produce some of my own components for tools I’ve designed in the past. Not only has this given me the chance to refresh my use with a lathe, but it also gives a sense of accomplishment when I’ve not had to rely on anyone. 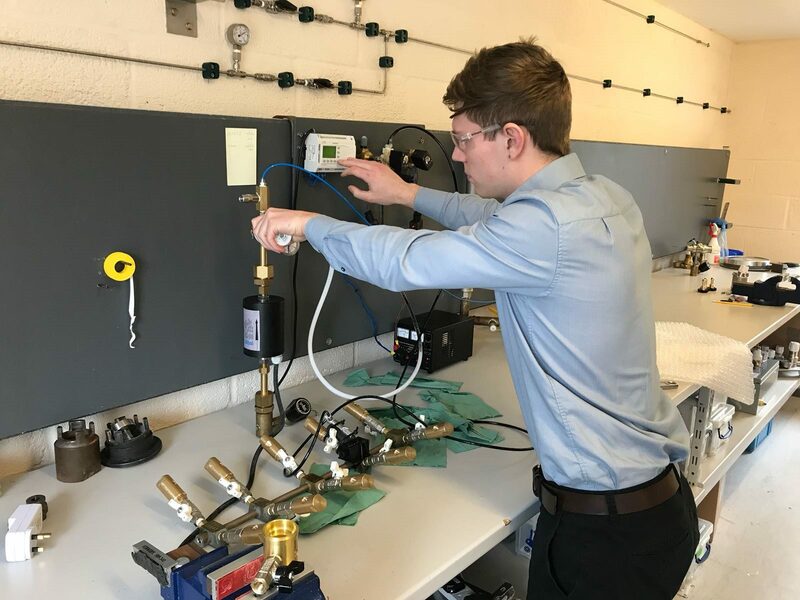 Since being with Gas-Arc, I’ve been provided with lots of opportunities; from visiting customer sites to look at their facilities and processes, to fixing and installing our equipment at other sites. I was even recently given the opportunity to visit Sweden and Poland for Exclusive ESAB Quality and Continuous Improvement Training, which has helped accelerate my productivity at work and given me a better understanding of the systems and tools used on a daily basis here. If you would like further information about the work we do or the opportunities available visit our website or contact us.